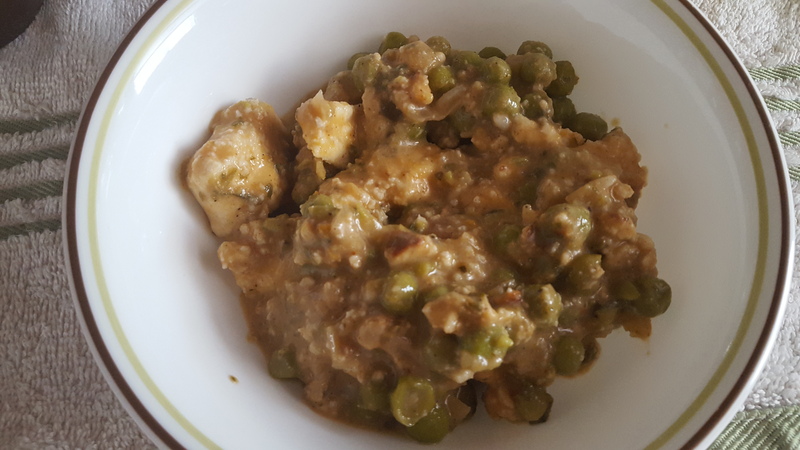 MATAR PANEER – Veg. 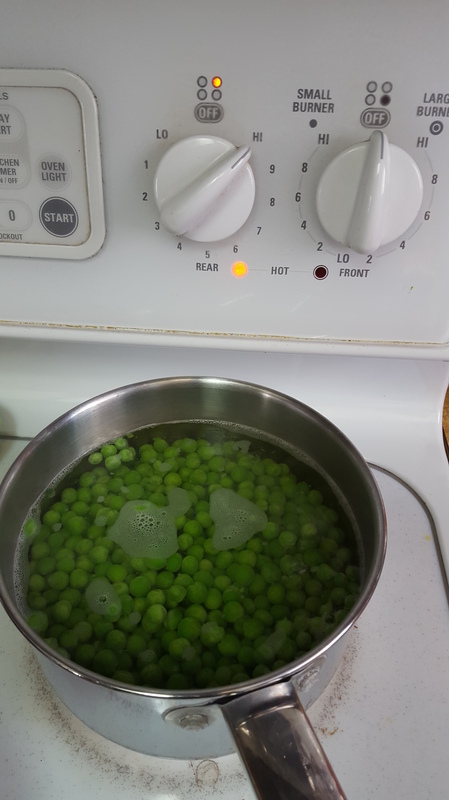 High Protein Fresh Cheese and Peas! A few days ago, I was lucky to have the chance to make this special dish for a very special person and my husband loves paneer dishes too! Paneer is a popular North Indian delicacy enjoyed in several meals especially during special occasions or treats. It is a dairy product and hence very high in protein. In India, we call it Cottage Cheese but in USA it is termed as Fresh Cheese (I am unsure of the other names for it). 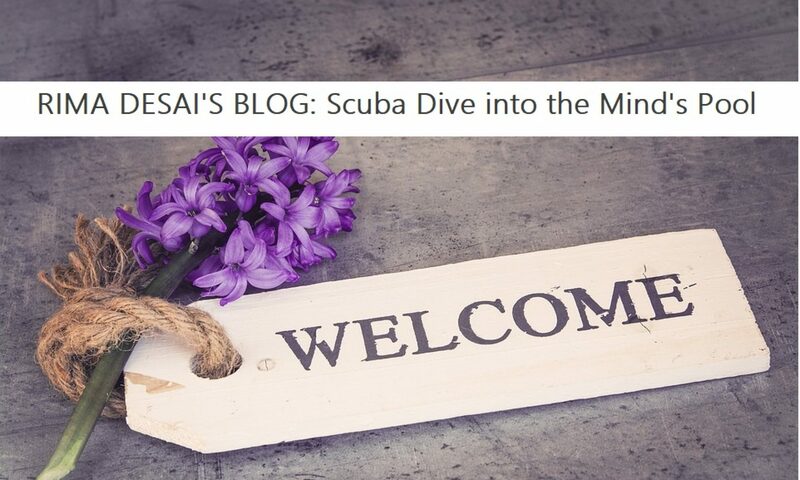 Being the person that I am – I totally dislike being a ‘follower’. I have to add my own creativity or you can say a streak of ‘experiment’ or ‘rebel’ into my work. Hence, I am not the recipe book follower. This makes me want to make my own dishes, the way I want and add ingredients or procedures that others may refuse or normally not follow. 4. 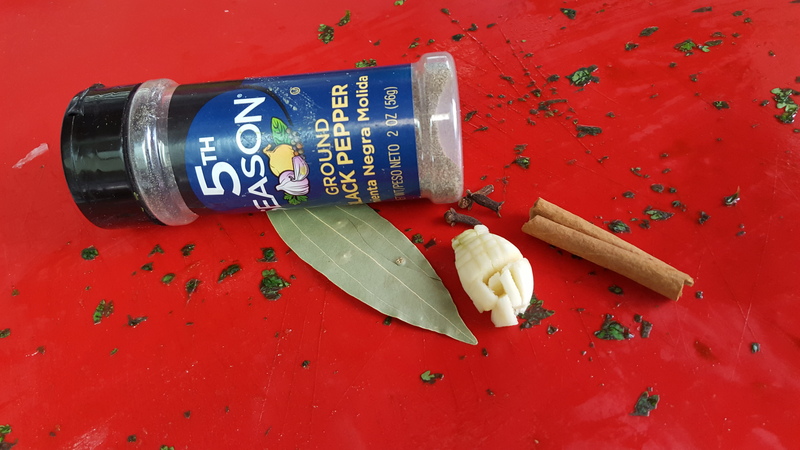 Prepare the spices – hand grind them fresh: black pepper, bay leaf, garlic (quantity as per taste), cinnamon stick, cloves. 6. 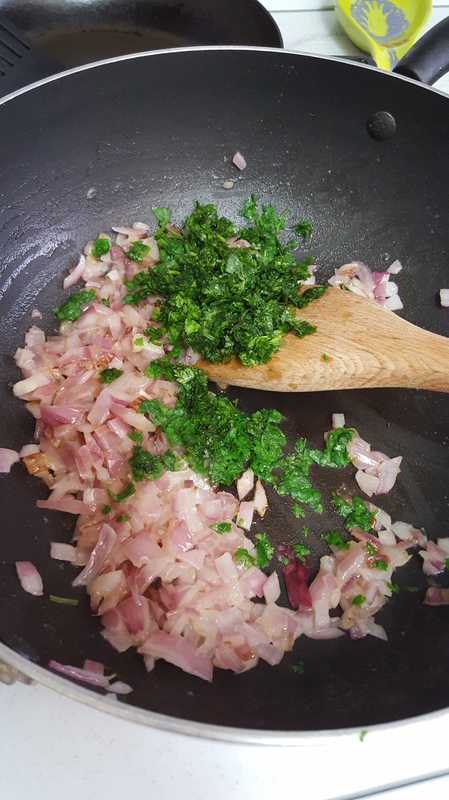 Chop cilantro and add it to the onions. Reduce heat to medium or low. 7. 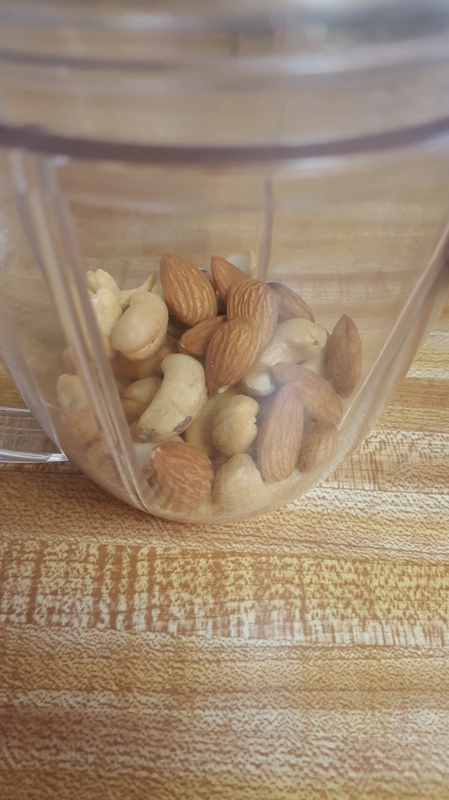 Ground dry almonds and cashews into a semi-coarse or fine powder. Salted nuts are preferred. 8. 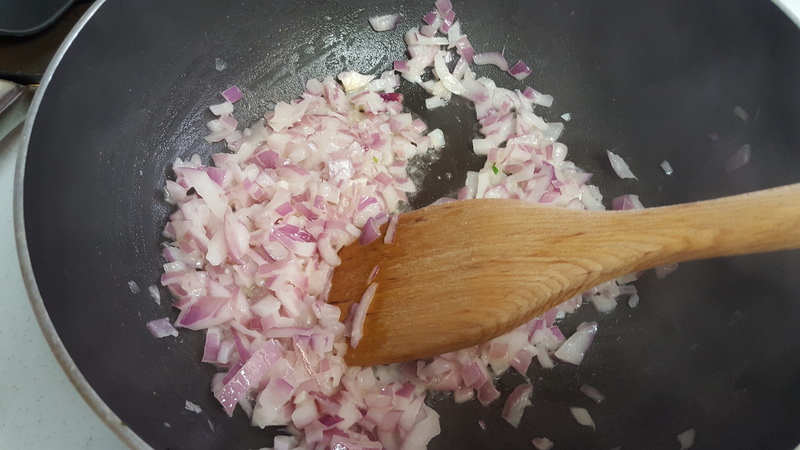 Add the ground powder to the onions. Add home-made or bought tomato paste. 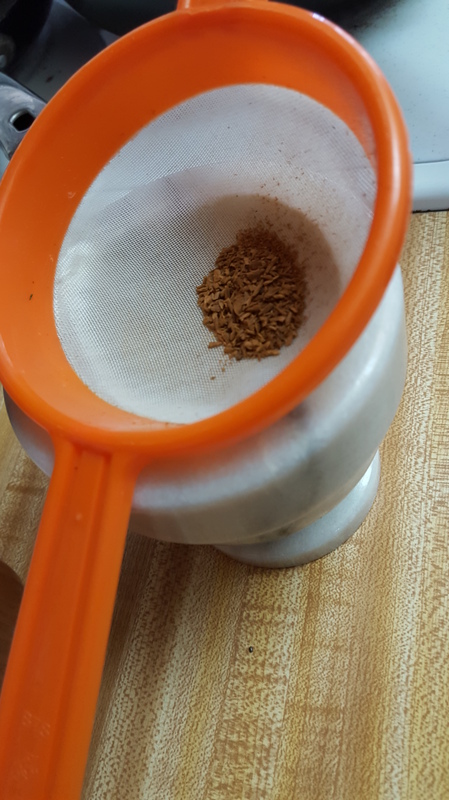 Add the ground spices. Add water to make a semi-thick paste. Add red chili powder if needed. 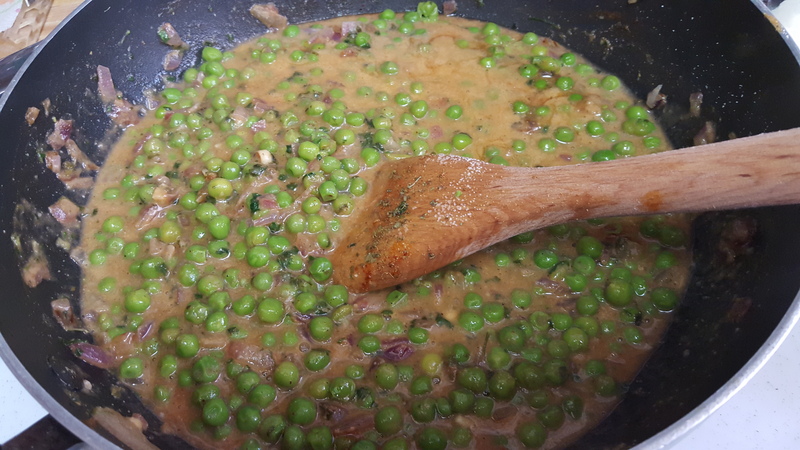 Strain boiled green peas and add to this mixture. Simmer on medium for few minutes to allow for the flavors to mix well. 9. 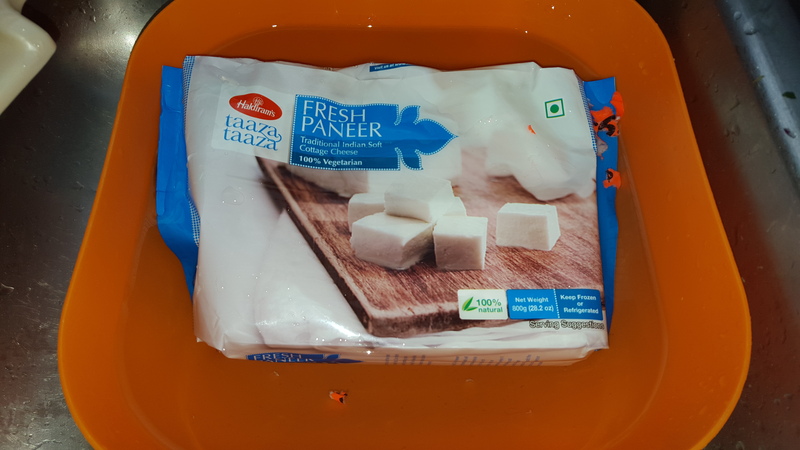 Prepare the Paneer: Open the defrosted pack; cut into cubes of desired size for eating. Add oil or butter to a wide skillet and add cubes to saute. Sprinkle salt and black pepper or cinnamon powder on the paneer for absorption of flavor. May take anywhere from 7 – 15 mins. (on medium to low flame) – depends on the type of stove and skillet. Lightly toss and move frequently with a soft spatula. The water or foam will eventually evaporate. Alternatively, you can make your paneer at home by boiling milk and tearing it with tartness from fresh lemon juice or vinegar. There are many online recipes for the same. 10. 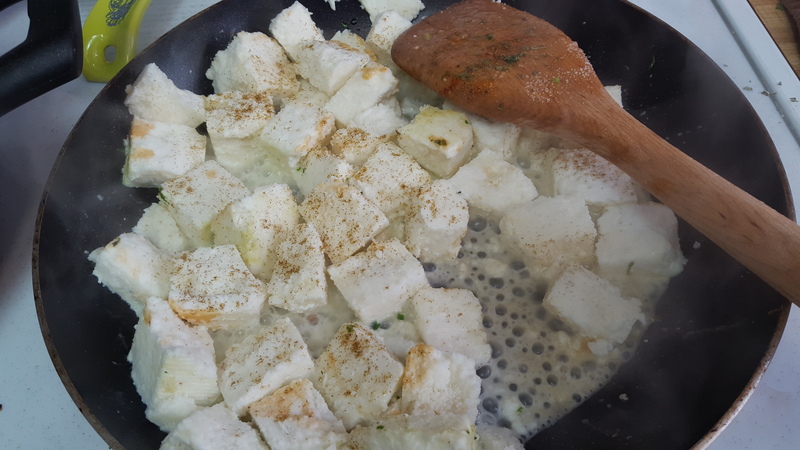 Remove the paneer when: it is light brown on either or both sides, slightly crispy and most water has evaporated. Then add paneer to the gravy. 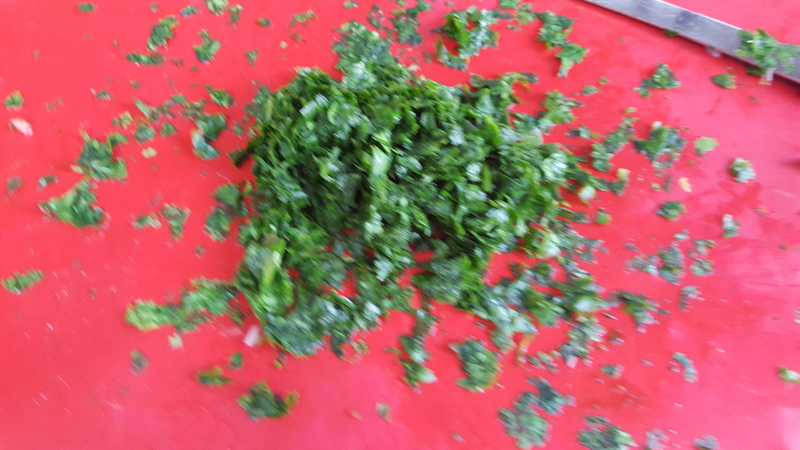 Sprinkle cilantro on top if you wish for more color and flavor. 11. Serve hot with Indian Tortillas (Roti) or plain rice. I use masoori or basmati rice.